Lauren Baird is outgoing, passionate and loves to help others. Lauren is the friendly voice that you hear when you call Wiser Strategies. 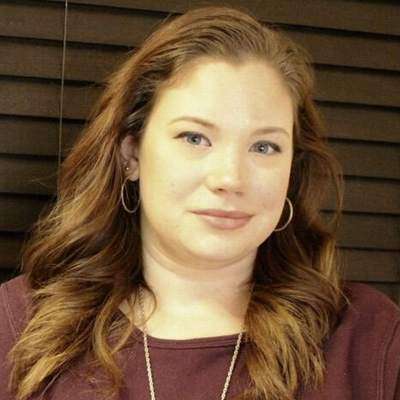 A graduate of Bluegrass Community and Technical College with a degree in Administrative Office System and Technology, she has been a part of the team for two years. When she is not copy editing or first point of contact for the main line, you will find Lauren watercolor painting or bullet journaling. What do you most admire about other people? I really admire people who can see the potential in others and are able to nurture that to better those who are around them. Someone who is so genuine that it makes you want to be in the presence. What do you do fun? I like to sit in hammocks and eat sushi with my dog and listen to the Lumineers. I would like to learn how to play the Ukulele. What do you like most about living in Kentucky? I really like being able to be in the city one minute and the country the next. I love traveling through the luscious green hills and iconic black fences that make Kentucky so unique.